They say, “Take care of your body and it’ll take of you,” and this couldn’t be more true! The healthier your body is, the happier your mind will be. By eating a plant-based diet with our meal delivery in Philadelphia, you can give your body the nutrition it needs to function well and guard against disease. Meal delivery in Philadelphia makes vegan dieting as easy as having breakfast, lunch and dinner delivered right to your doorstep. The best way to eat healthy is to eat balanced, wholesome meals that also taste amazing so you never get tired of it. Get our healthy meals delivered fresh to your home in Philadelphia today. Our Philadelphia meal delivery menus offer just that – quality nutrition with variety. Enjoy healthy vegan meals 1-3 times a day with our Philadelphia meal delivery programs! Save yourself time in the kitchen or supermarket by having our freshly prepared meals delivered to your home weekly. Whether you are a health-conscious professional, time-pressed college student, or busy mom who cares about her family’s health, our Philadelphia meal delivery programs can bring better nutrition into your home at an affordable price. Our tasty vegan meals are satisfying and wholesome, made with gluten and GMO-free plant ingredients you can trust. Enjoy delicious and freshly prepared meals delivered to your home anywhere in Philadelphia. You don’t have to sacrifice flavor by eating healthy! 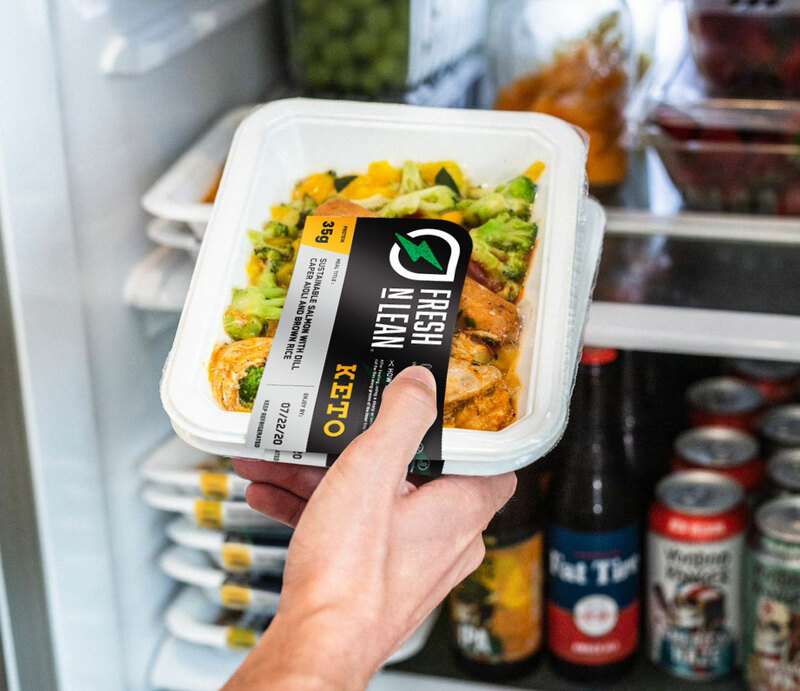 Fresh n Lean’s Philadelphia meal delivery service can provide you with the perfect way to life a more balanced lifestyle with our all-natural meals made from fresh quality ingredients. Because we settle for nothing less than best and our chefs are truly passionate about preparing amazing-tasting dishes, you’ll never have to worry again about what to eat for your next vegan meal. Fresh n Lean’s meal delivery in Philadelphia takes eating well to a whole new level with our international food-inspired dishes.